It has been an interesting few weeks and months for webOS, the mobile operating system that technology giant HP picked up as part of its acquisition of Palm. We’ve had the unadulterated excitement that accompanied the announcement of a new range of HP-branded webOS-based devices ranging from tablets to smartphones and then the subsequent disappointment when some of them sucked or plain old got cancelled. We’ve since had HP threaten to pull out of the personal computer game, and a change of CEO just for good measure. It’s all go at HP these days, and it’s debatable as to where the company will turn next. 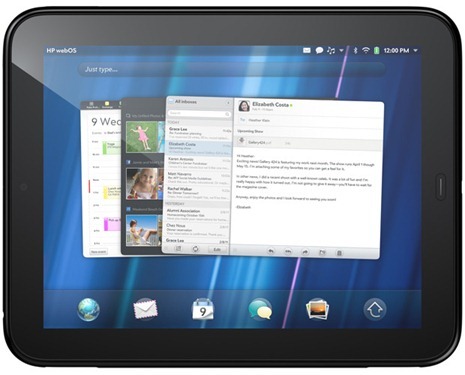 One of the webOS devices that did find its way to market was the HP TouchPad, a tablet that the technology press universally thought was a massive let down, and another example of how HP had managed to botch another product release. HP is pleased to announce the return of the Developer Device Purchase Program for the HP TouchPad for a limited time. Registered developers in the US, Canada, and Europe will be able to purchase up to two TouchPads at a discount while supplies last. This appears to be more than the fire sale witnessed when HP first decided to can its TouchPad tablet, but rather a move to garner the affections of developers – developers who we can’t imagine being too happy about writing apps for a dead platform. Unless it’s not really dead anymore. Does this move suggest that HP might be thinking about trying once more to make something out of webOS, a smartphone and tablet operating system that few would argue possessed great potential once upon a time? It is of course entirely possible that HP has found another couple of boxes of TouchPads that it needs rid of in order to make room for that new pool table in the board room, but why not just sell them to anyone? The desire to butter up developers and offer them cheap entry into the webOS ecosystem is an interesting one, and only the people inside HP can really answer the question that is on everybody’s lips right now: what is going to happen to webOS in the long-term? That said, based on recent events at HP, we’re not even sure they know!